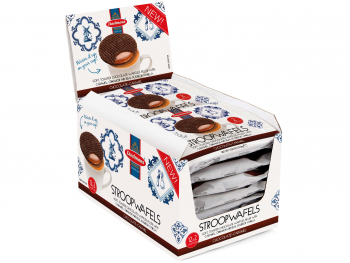 Our individually wrapped Jumbo stroopwafels have a diameter of 9 cm. Comes in a nice display case. 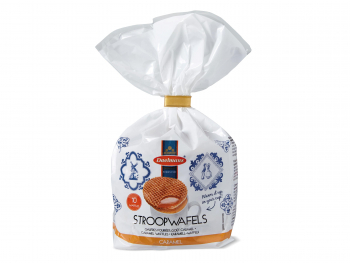 These jumbo caramel stroopwafels are alle single wrapped. 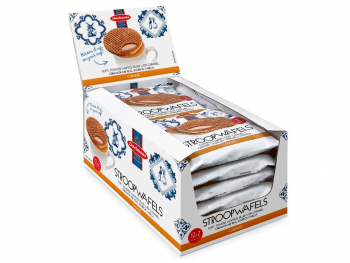 This makes it easy to take it with you to work, school or activities. Since they are single wrapped, makes them easy for you to share with friends, family and colleagues. 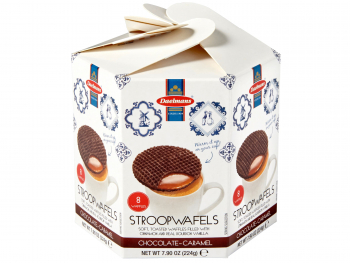 Warm them up on your cup of coffee or tea to soften the caramel. 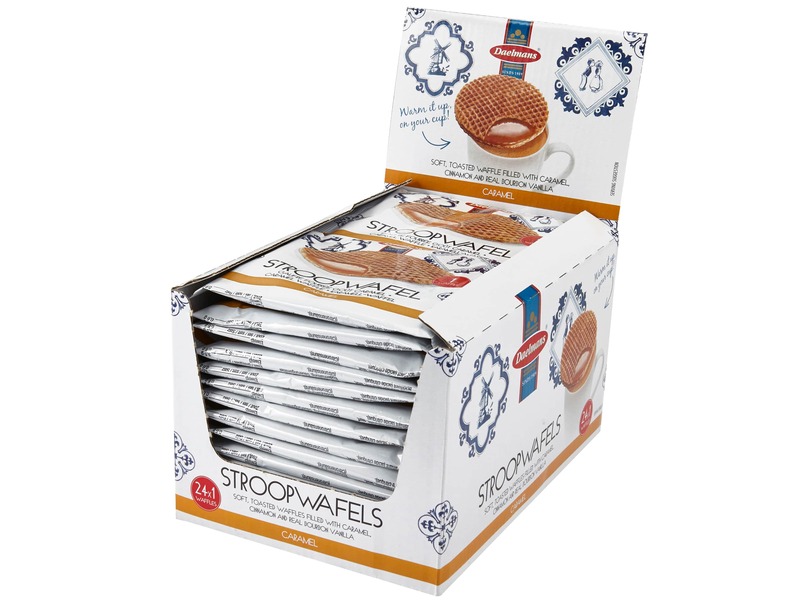 Enjoy this package of 24 single wrapped caramel stroopwafels.